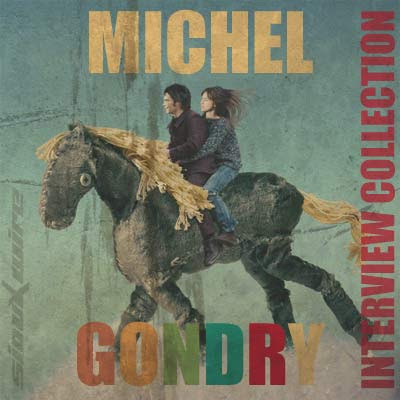 Continuing the series of interview collections, this a set featuring Michel Gondry. Learn a lot about Michel (and the clichés of interviewing). Thanks for including me among the cliches. Heh. Always appreciated. I didn't say that all the interviews were cliché. By reading any large set of interviews, a person is going to learn quite a lot about the clichés of interviewing but that certainly doesn't mean every interview is such. Many thanks to Aneesh Joseph at Blogger Widgets for his help in ironing out the final wrinkles on SiouxWIRE v3. STANLEY KUBRICK's "The Day of the Fight"
JEROME OLIVIER's - "Missing Pages"
WONG KAR WAI's "My Blueberry Nights"
GRINDHOUSE will be "torn in two"
PROJECT 155: "My Left Eye"